Warts are small, rough patches on the skin (resembling cauliflowers) that are caused due to the human papillomavirus (hpv- a dna virus that can infect humans). In this condition, only the topmost layer of your skin gets infected and acquires a rough texture. Warts are not fatal (they do not cause cancer), but they are contagious in nature and do not vanish easily. Read on to find the most effective ways to reduce warts. Over-the-counter wart treatments containing salicylic acid (a type of fungicide) as an active ingredient are commonly used for effective removal of warts. These medications generally eliminate warts by removing the topmost layer of the skin, following the peel-off process. Cryotherapy, also known as freezing therapy, is generally performed by a dermatologist and consists of the use of liquid nitrogen for freezing the warts. The application of the chemical results in the formation of a blister around the warts, which shed off after about a week. It takes almost 3 to 4 weeks to have completely wart-free skin. This method proves to be more effective when used with salicylic acid-based wart removers. Another form of wart removal is pulsed-dye laser treatment. An ablative co2 laser acts by cutting and burning the wart. In this type of treatment the affected blood vessels are burnt, leading to the death of the infected tissue, following which the wart too disappears. However, this method is not commonly used if other treatment methods tend to work as it is painful and may leave behind scars. Sometimes your dermatologist may recommend the use of human papillomavirus (hpv) vaccine to successfully eliminate warts. In this type of treatment each wart is injected with a shot of immunosuppressive drugs, a medicine that fights cancer. However, this treatment is not preferred generally as it may be painful and comes with side effects like nail loss if the wart is present on the finger. 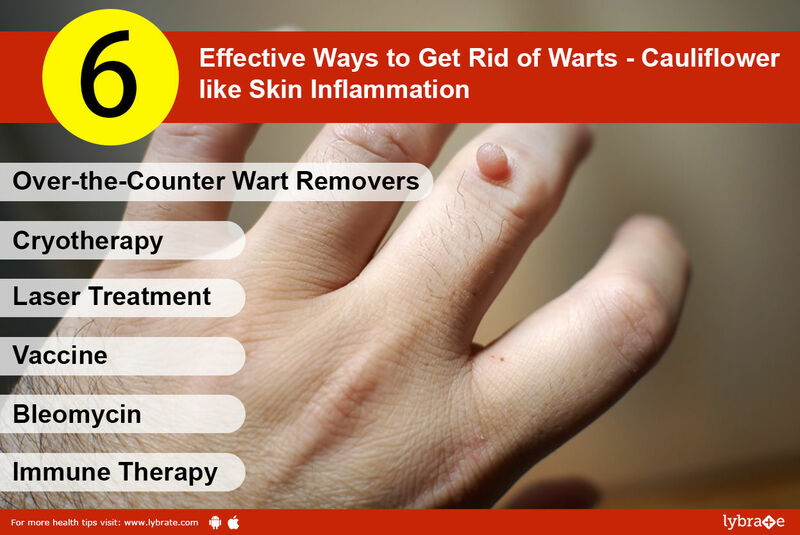 When warts refuse to vanish after the use of all common treatments, this method is put into use. This type of treatment involves the use of medications or solutions, which strengthens your immune system so that it can repel warts. In this case your warts may be injected with an antigen or a solution or cream may be applied on them.